Great leadership comes from really understanding your motives and purpose. Many are attracted to leadership because of the ego boost that being in charge affords. Ascending the hierarchy of position and power makes people feel they are noticed and successful. I think that seeking leadership from this direction is based on fear, isolation and a lack of feeling whole. This kind of leadership is about the leader being served. These leaders look in the mirror when things go well and out the window when things go poorly. 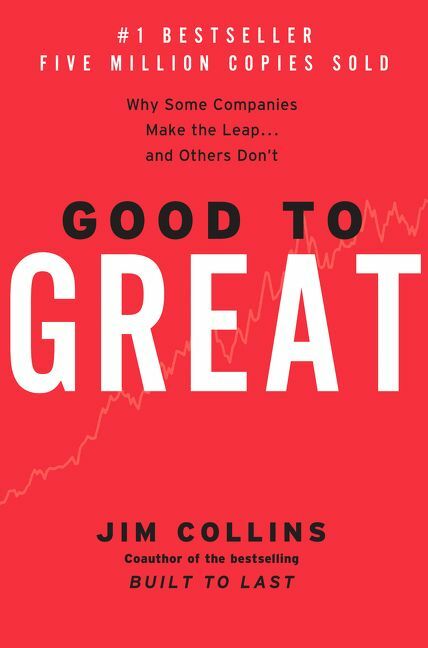 Jim Collins, in his famous book Good to Great, talked about “Level 5 leaders” - those whose ambition is beyond themselves. They tend to stay in the background and lay a strong foundation of purpose to their teams. They combine humility with iron will and commitment to their team and to their purpose. These leaders often do this by creating a culture of safety and performance in their organizations and breed strong loyalty. This kind of leadership is about serving others. These leaders look out the window when things go well and in the mirror when things go poorly. What drives these two leadership styles? I think it has a lot to do with the leader’s internal journey to self-actualization - leadership from the inside out. Leadership is about the state of the people leading. Leaders that are driven by ego tend to need more and more in their incessant search for wholeness. This type of leadership is ego-based and is driven by a constant stream of thought that makes these leaders feel unsafe. However, as we previously discussed, we are intrinsically in unity. Ego-driven leaders are more focused on themselves and less on their teams. Fear of worthlessness. Fear of insignificance. This fear leads to a mindset of scarcity and a need for competition and control. This fear also drives an incessant need to be loved and to be recognized in an effort to fill their lack of feeling whole and safe. These leaders tend to be inculcated in their importance and power and spend a lot of energy to defend their position against perceived competitors. They tend to spend a lot of time analyzing past efforts and future plans, focusing on building and strengthening power. Alternatively, some leaders live in a much bigger frame. They recognize each of our responsibility to be conscious creators and change things for the better - person by person, family by family, community by community, state by state, country by country and throughout the world. Their leadership comes from a deeper feeling of safety, connectedness and wholeness. Leadership tends to come through these leaders as they are in flow with the energy of their task and the realization of their dreams. They tend to be more locked into the present and absorbed in their teams, purpose and work. The impact of their leadership is to light the way for others. They are energy creators and intensify alignment of their teams by bringing love and safety to their teams. These leaders are authentic. Their power is drawn from their presence as a person and their abundant mindsets. Their fearlessness comes from a deep-rooted trust that as conscious creators, their deepest dreams will be realized if the dream is driven by love. Thus, I think that great leadership reflects the state of the person from the inside out. The journey to self-actualization is the foundation of leadership, hope and health. Driven by love and seeking to awaken the world as we awaken ourselves. A journey to experiencing the miracle that is each of us. An opportunity to change the world and create a better future - together.